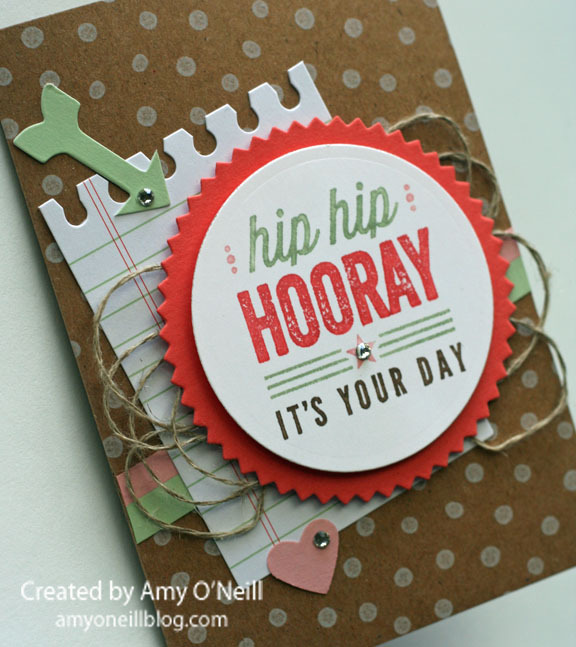 I love the Hip Hip Hooray Card Kit! I love how it comes with so many fun elements that you can use to make 20 pre-designed cards, or you can add other things in your own stash of products and come up with something entirely your own. I also love this stamp that comes with the kit. Very fun! There are two other stamps that come with the kit as well. 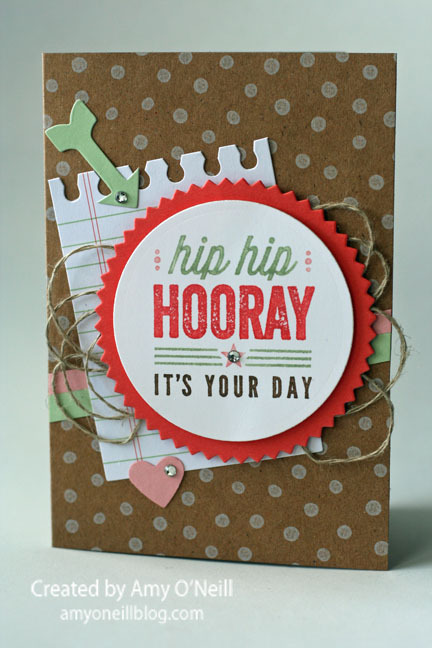 This entry was posted in Hip Hip Hooray Card Kit. Bookmark the permalink.